At JML Audio, we are car enthusiasts. High-quality vehicle detailing services make positive impressions possible through the use of using premium car care products and our highly experienced detailing experts. Whether it’s restoring a classic beauty inside and out or enhancing the paint on a brand new vehicle, JML Audio offers several vehicle detailing services to suit the client’s needs and meet manufacturer car care recommendations. To be environmentally responsible we complete all detailing services off-site to ensure the highest quality of finish while taking care of the environment. We offer a complimentary loaner vehicle program for added convenience. Our ultimate goal with our high-quality detailing services is to make your vehicle’s appearance better than new. We use only the best quality commercial-grade car care products from premium wax and interior conditioning to engine degreaser or aluminum wheel polish. There are many different products on the market and many of them are very good. However, the product is not the most important factor in determining the finished results. The greater importance is in the process and knowledge of the Vehicle Detailing Specialists utilizing the products correctly. All of our Vehicle Detailers gone have thorough various training in professional automotive detailing. Every one of our Detailing Specialists has a love for automobiles and has a passion for the work they do. And it shows. We offer a clay bar paint surface purification process. We cover all exterior paint surfaces of the entire care that are smooth. This process removes all of the impurities that become embedded in the paint over time. This allows our Detailing Specialists to polish the paint and ensures that no ‘swirl marks’ result. The commercial-grade sealant wax we apply on the exterior paint surfaces for the final stage of paint protection involves a new technology called nano-technology. This sealant leaves the paint a shiny ‘wet’ look and lasts considerably longer than older techniques and antiquated wax products. or leather interior surfaces, we utilize a two-step process for cleaning leather. We have professional leather cleaners that get the dirt out and opens up the pores of the leather. For a final step we apply a conditioner that leaves the leather soft and looking new. All vehicles are in need of detailing including brand new vehicles. Brand new vehicles from the car dealership still have impurities in the paint and often omit adequate paint protection. To protect a new vehicle’s paint and maintain a new appearance, a car should be waxed at least twice annually. In addition, we offer the clay bar treatment to remove impurities that have built up on the exterior finish and recommend it be done twice a year. Cars that are no longer brand new shouldn’t be called ‘used’; they should be called ‘loved.’ For clients who love their vehicle, the importance of a quality detailing job is equally as important as any brand new car. Whether it’s a restored classic, a European sports machine, a truck or just about any other kind of vehicle, we have a comprehensive detailing solution to care for the exterior and interior surfaces. Vehicles with exterior paint that shows signs of wear can often be restored to showroom quality with our professional detailing services. For interior surfaces including plastic, wood, leather, carpet, vinyl and suede, we carefully select the best commercial-grade treatments to preserve the integrity of the materials and restore the luster of your loved car’s interior. Why Choose Us For Your Vehicle Detailing? Our clients are our focus. The client who has a love for their car and wants it to remain as new, or have it look and feel new again, will benefit significantly from our high quality detailing services. These clients may not have the time or know how to detail their vehicle themselves. That’s why we make it easy. 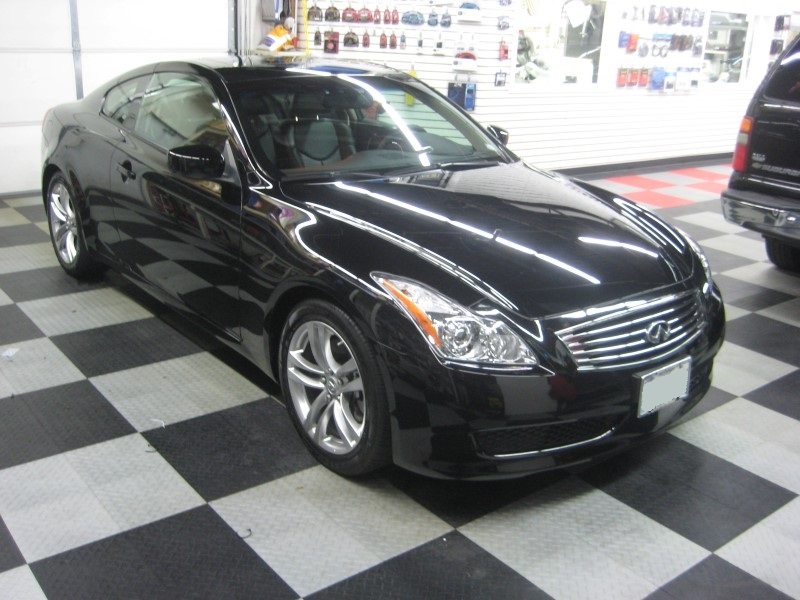 Our Vehicle Detailing Specialists have over 16 years of experience. When you are having other services performed at JML Audio (such as high performance audio or radar / laser defense systems), we offer a loaner vehicle program and a convenient one-location drop-off and pick-up to minimize your inconvenience. This all adds to the convenience and client-centric approach that drives everything we do. Make it easy, do excellent work and enhance the client’s overall experience. Visit or Contact Us at JML Audio today to learn more about the vehicle detailing packages we offer. All of our Vehicle Detailers have gone thorough various trainings in professional automotive detailing. Every one of our Detailing Specialists has a love for automobiles and has a passion for the work they do. And it shows.